EASY, FAST and FREE to our local area. 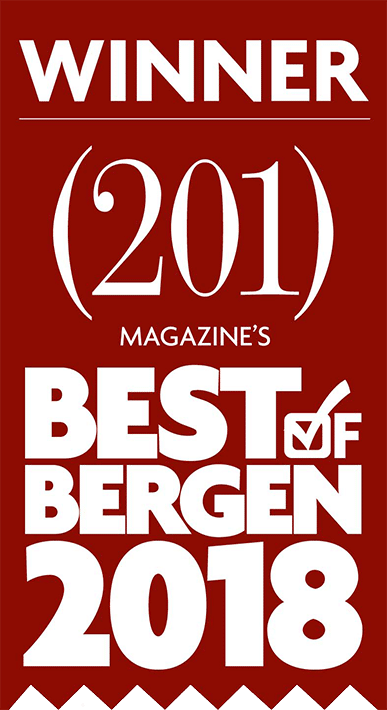 That is Emerson, Oradell, Westwood, Washington Township, Harrington Park, Ridgewood, Norwood, Paramus, and Old Tappan. Inquire about service to other towns. Since 1903, the Goulian family has been proudly committed to providing the highest level of quality, dependable, dry cleaning service. 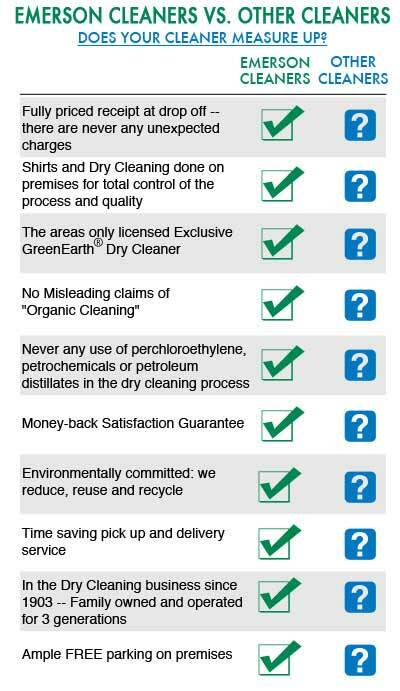 At Emerson Cleaners we exclusively use GreenEarth®, a 100% eco-friendly process, for everything we clean. It is completely safe for the environment and for your clothes. 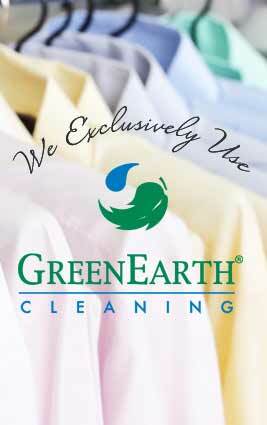 We are committed to providing the area’s very best – and greenest – dry cleaning service. Don’t Be Fooled By Cleaners That Claim They Are Organic! Colors won’t fade and whites won’\’t grey. Everything comes back cleaner and brighter, even after repeated cleaning. Everything feels better, too. Fabrics are smooth and silky, sweaters feel soft and supple. We want you to come back to us again and again, and we want you to look good when you do so! Sometimes, going to the dry cleaner just isn’t in the cards. Busy schedules and hectic lives can prevent you from enjoying all of the benefits that dry cleaning has to offer. Luckily, Emerson Cleaners offers pickup and delivery for dry cleaning in Emerson NJ and surrounding local towns! When you don’t have time to pick up that dress for tonight’s party, or drop off your best suit for this Friday’s meeting, you can rely on Emerson Cleaners as your own personal dry-cleaning assistant. Get cleaner, softer clothing without leaving the house, with full-service pickup and delivery for any and all dry-cleaned items! Whether you need dry cleaning in Oradell NJ or elsewhere in our region, Emerson Cleaners is here to make your life easier with quick, effective, and conscientious dry cleaning. To take advantage of our truly environmentally safe and healthy services for dry cleaning in Westwood NJ and other nearby towns, just stop by with your dry cleaning items or call to schedule pickup and delivery. Our job is to work around your schedule to make sure you can experience all of the benefits of dry cleaning without the hassle and health risks. Where’s That Dry Cleaner Smell? The first thing you might notice when you use Emerson Cleaners as your dry cleaner—after our friendly, fast, and efficient customer service—is the lack of a certain familiar scent. If you’ve used other dry cleaners in the past, you’ll know that dry cleaned clothes usually smell “dry cleaned”. This is true even of supposed “organic” dry cleaners, who use harmful perchloroethylene and other naturally-derived, yet harmful, chemicals to clean your clothes. We know that you trust your dry cleaner to not only take good care of your clothes, but also to keep your best interest and wellbeing in mind. 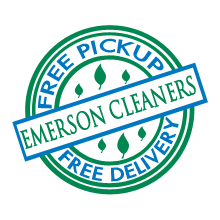 With Emerson Cleaners, you can take a deep breath of relief when you pick up or have your dry-cleaned clothes delivered, without worrying that you or your family are being exposed to harmful chemicals. Whether you’re looking for a better alternative to your current organic dry cleaning near River NJ, or you’re interested trying out dry cleaner pickup and delivery, Emerson Cleaners is your local dry cleaning solution.